There’s long been a debate about the merits of wet cat food vs dry cat food. But which is the right answer, and which should you be feeding your four-legged family member? We’ll break this down and answer all of your questions below. 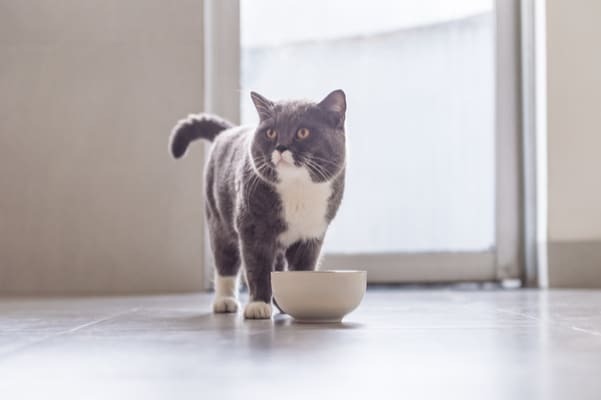 Wet food vs dry food — which is best for your cat? First, some background. Cats are carnivores, which means they are bred to eat a meat and protein-rich diet. However, some dry cat foods contain corn and other unsavory fillers meant to keep your cat full, but not necessarily satisfied or thriving. This is where the debate kicks off. It’s moist, which appeals to cats because it is the same consistency as the food they would eat in the wild if they were to trap and kill their own prey. It smells appetizing (to cats, at least). When food smells good, it triggers synapses in the brain that tell you you’re hungry, making you more likely to eat it. The same is true for cats. It has chunks of meat, which cats enjoy ripping through and chewing on. This also keeps their teeth in good condition. Cats crave it! The wet cat-food formulas are designed to make cats have cravings, similar to the way we crave sugar. The more of it we eat, the more of it we want. Unsurprisingly, wet cat food is typically more expensive and fatty than dry cat food. It’s inconvenient. Sometimes you just want to pour out some kibble for your cat and go. Dry cat food is a usually a great deal cheaper than its wet cat food counterpart. So if you’re on a budget but still need to feed your cat, this may be the way to go. Dry cat food is also good for your cat’s teeth. That’s because the dry kibble can actually scrape plaque off your kitty’s teeth, aiding in dental health and potentially cutting back on teeth cleaning and dentist bills. Dry cat food just doesn’t have as many nutrients or as much protein as wet cat food does. Active cats need protein, so if you have an especially active kitty, dry cat food may not be the way to go. Sometimes, dry cat food can even contain harmful fillers that aren’t good for your cat. Make sure you do your research on the ingredients. Scout out age-specific formulas. Your two-month-old kitten doesn’t have the same health needs as your 16-year-old tabby, so why would you feed them the same food? Read the ingredients carefully. Even if you don’t carefully read the ingredients on the things you eat, you still have the option to. Your cat, however, does not. So be their advocate and make sure you’re reading the ingredients before you choose to feed them. Find a lifestyle-specific formula. An indoor cat will need a different type of food than an outdoor cat, and vice versa. Bottom line: Do your research online and your cat will thank you. Ready to get started?